How do I pair a Readiband to my account? 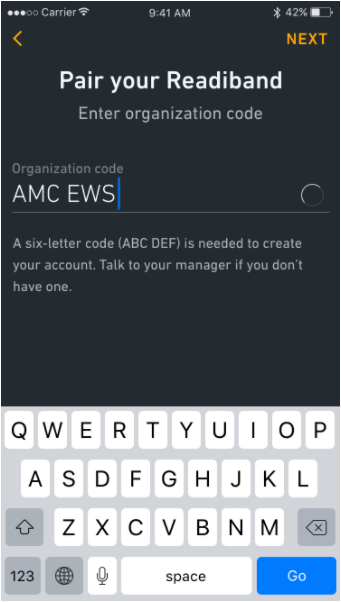 If you’re signed in to the app, but a Readiband hasn’t been paired to your account, you’ll be prompted to pair one with an orange banner at the bottom of the screen. Bluetooth enabled on your phone. A six-letter organization code. You may be asked to enter this as part of the pairing process. Get this from your program manager. A Readiband that’s not paired to anyone. To check this, first make sure the Readiband is awake. 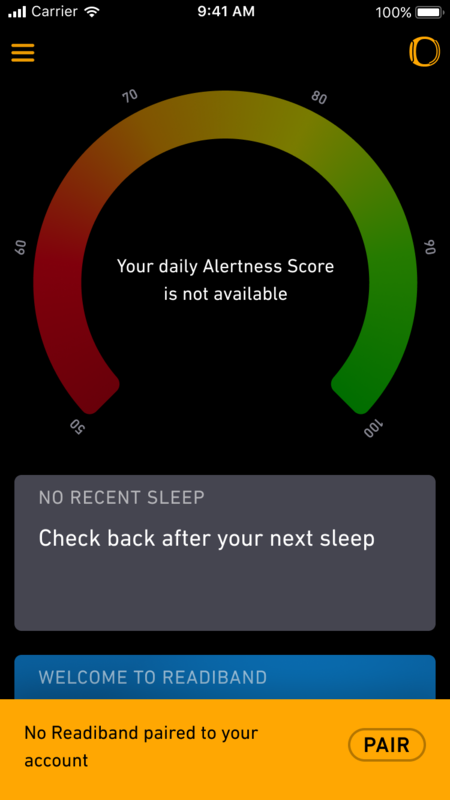 Then, swipe up or down from the middle of the screen to display the clock and then swipe again to see the Readiband’s pairing status. 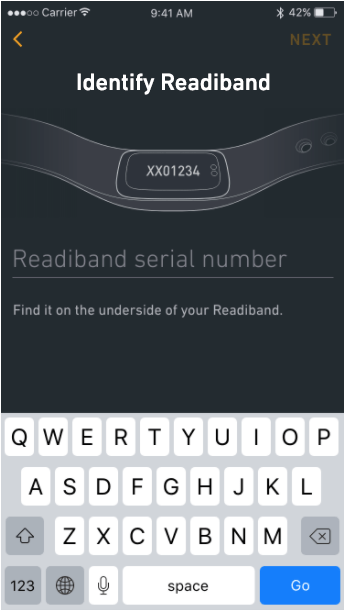 If unpaired, it will say Readiband not paired. Confirm that your band is awake. The app provides instructions to do so. Once you’ve confirmed the band is awake, tap Yes. Your phone will start searching for the band. Once your phone connects to the band, you’ll be asked to confirm. The band is now yours to wear.